Bow Hunt for turkey and duck hunt. DockSide TV jumps aboard with Capt. Kris in the Latest DockSide TV from http://www.matrixshad.com Most hear figured Lake Pontchartrain is dead due to the spillway but just like every article or past video we have done we explain how the fish get consolidated during a spillway year and this episode shows how it happens. The week we lost our DockSide TV mascot, Drake, we were able to fish with him one more time and make this DockSide TV from www.matrixshad.com catching trout in the middle of spillway opening. The DockSide Crew puts the Matrix Mini under a cork to catch big slabs just before their annual spawn from www/matrixshad.com Music by Rex Del Ray (ACTION HAT) Come See These Slabs on Ice and Pick up some Matrix Mini's at the Lamar Dixon Center this weekend!!!!! Louisiana Sportsman Show. DockSide TV ties on the Matrix Minnow from www.matrixshad.com and goes to town on big suspended specks along the grass. www.matrixshad.com heads out in search of diving seagulls. Once they find them diving on shrimp its game on using the matrix float. Enjoy this episode!!! The DockSide TV crew from www.MatrixShad.com goes out under the Moonlight to do some night time trout fishing. The Matrix Mini prevails the night to load up on nice trout. Enjoy this great action!!!!! 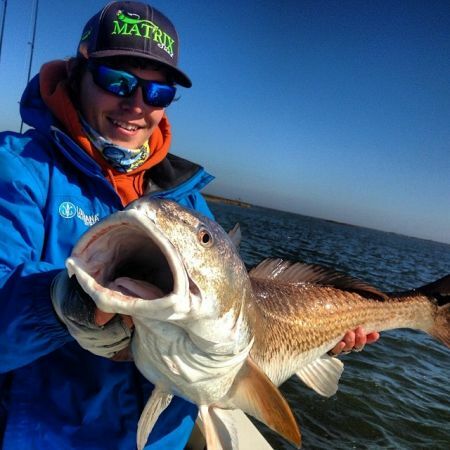 The www.matrixshad.com crew heads east for a panhandle pile up. From the Choctawhatchee Bay to the Gulf of Mexico catch 15 species of fish on Matrix Shad products. Don't miss this episode. I've been hearing a lot of negativity from people complaining about this but what people don't realize is that it's because of them that it had to come to this. I have been fishing the roadside of LA1 for a couple years now and had some amazing days and got it figured out to the T, I would say most of the time. That area is also pretty awesome at certain times of the year and before all this went down, I used to do a lot of wade fishing around there before I knew the legality of the water and marsh land and instead of WW3 going down, I soon learned from a few of the guys around there where you shouldn't be and those couple times the past couple years they have been some of the nicest people and politely told me where I shouldn't be so I left. One other time I was told something on a different part that I did not know about and the person told me politely that I can finish fishing the area I was walking to but next time I would know that it was not the area I should be in. But because of stupid people that had no respect to even listen to why they are not allowed there or reason with anyone, I see why the owners have decided to go this route. Any other person would have probably done the same thing. I hate that it had to come to this for y'all Maxcherimie but believe me I understand as I have seen the many reasons for it the past year. Thanks y'all! Ha yea Tony, it was a rough one but I'd much rather a day like that than a perfect one. Them big girls like it when the weather's nasty and I like it because I'm usually the only one out there haha. Thanks! And as far as the Stripers I think it was more of a freak thing but we caught em by the ICW locks and for reds I would hang around the ponds and bayous that lead to the pond aince its still a little cool but not enough to push them all in the grassy ponds yet. Sac a lait were caught off of the west pearl as well. Nice bro. We've been slamming them as well. I go to Nicholls so I normally fish that part of the bayou also out of my kayak. Been catching some hogs jigging an Ultraviolet Matrix Shad. A comment titled: Empty Shell in response to a report titled: GIVING SPECIAL THANKS TO SOME GREAT CAPT. No I do not work for them bro. As I stated before I go to Nicholls and work as a student biologist for the wildlife and fisheries. I also never said I had nothing to do with them. I fish with the guys you see in the videos as well as help with the videos. If it wasn't for me using the Matrix Shad and liking it so much in the first place, then I probably would have never net them. They have taught me a lot and the Matrix Shad has been my number one go to bait for the past two years now. Just as anyone else, I help promote the things I use the most because of how great they perform for me. It's like a family up there. I just consider my self part of that family of my friends and everyone up at the shop. And it all started with one bait. As much as I fish, you start realizing what things work fantastic for you and feel the need to meet the people who make them. I love to help people catch fish, and telling them about how great Matrix Shads and Vortex Shads are, are just another way to help them out fish in their boxes. A comment titled: Word in response to a report titled: Reds stacked up in Shell Beach - right now! I knew it was only a matter of time before word got out ha. There's millions. A comment titled: Thanks in response to a report titled: GIVING SPECIAL THANKS TO SOME GREAT CAPT. I work for no one my friend. I'm in school and a student biologist and fish everyday I'm not in school. I just tell people what I use and for the past couple years it's been Matrix Shads cuz it has more action, durability, and fish able anyway you can think of way more than any other bait. I tell people what works for me and this is it and my go to confidence baits for any type of fish out there. Fish with what your confidence in and learn what to use at the given day, time or place. Not on the bridge itself but right by it. That's cold bro haha. I don't think I can take cold like that. Don't worry the fish will still be here when you get back haha. Thanks! And sounds like a plan Mile the Tiger haha. Well all I have to say is good stuff Captain! Those are some beautiful specks! And if people on here did more fishing and catching, they would spend have less time to complain haha. All I did was look at the awesome picture and had to make sure you got a good job from me. Keep throwing them up, I love seeing the hogs!